These presentation slides 31425 are complete compatible with Google Slides. Simple download PPTX and open the template in Google Slides. 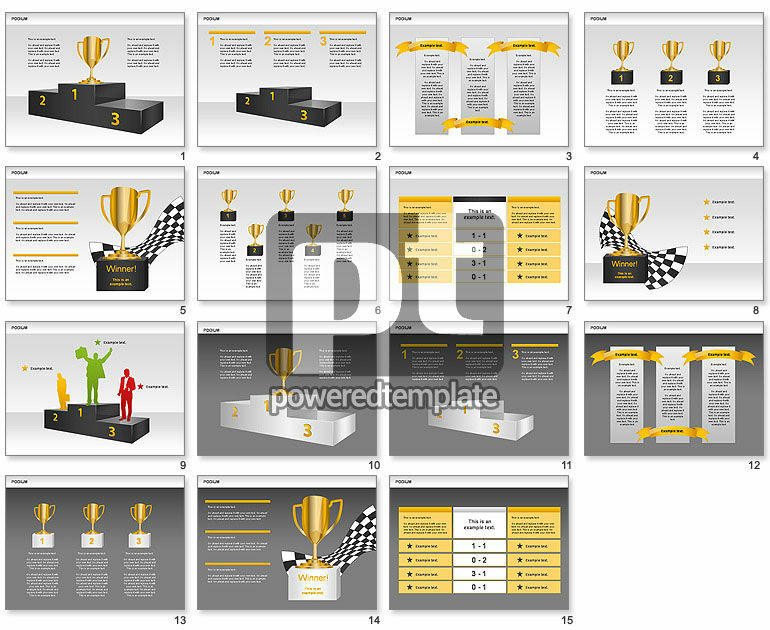 Sometimes in business or sport presentations could be needed to show results of business analysis, business ratings, results of business struggle, or else. It will be perfect to use Podium Shapes for this and related topics, etc.